Chrome plated brass. Height as fitted 113mm. For cloakrooms. 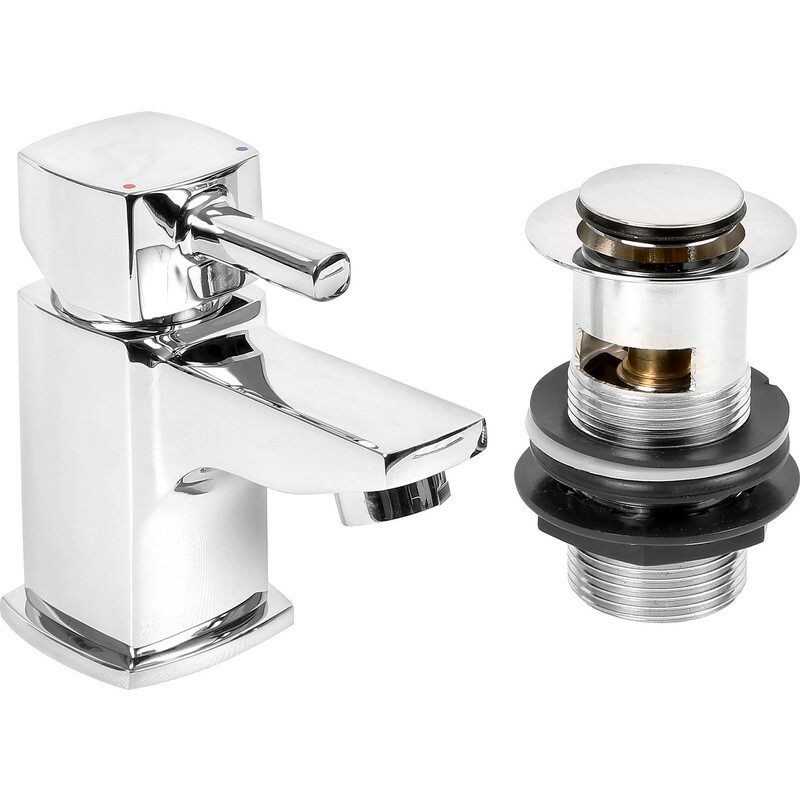 Skye Mini Basin Mono Mixer Tap is rated 4.4 out of 5 by 5. Rated 5 out of 5 by chil from A quality and stylish tap. This "mini" tap was the perfect accompaniment to the small, cloakroom sink it was being fitted to. The addition of the trap would have been a bonus if the sink had been fitted with an overflow, which it hadn't but was able to be used on another sink. Rated 4 out of 5 by Keriwill7270 from Looks nice Looked nice, decent price with plug also. Could get cheaper on line but needed that day. Rated 5 out of 5 by G1bbo from Great replacement for my clock room sink Good quality product recommended.